Very special NSU speedway bike from the fifties! Very nice Original. We have a big collection of these bikes. 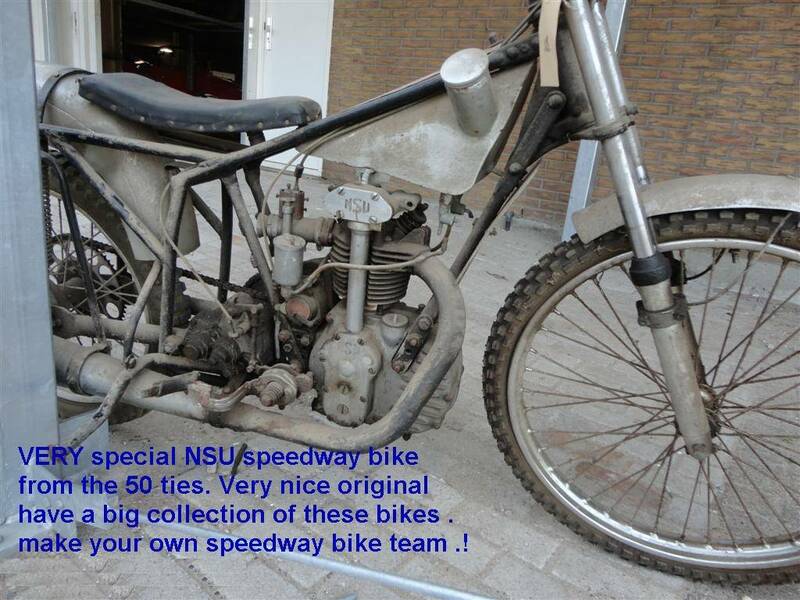 You can make your own Speedway bike team! Big choice in bikes and mopeds in "the Stolze Collection"!